Why can some people lose weight and others can’t? How come a small number of people are able to lose the weight and NOT regain it? Wouldn’t you love to know the secret sauce of the successful ones? I used to wonder these things all the time. 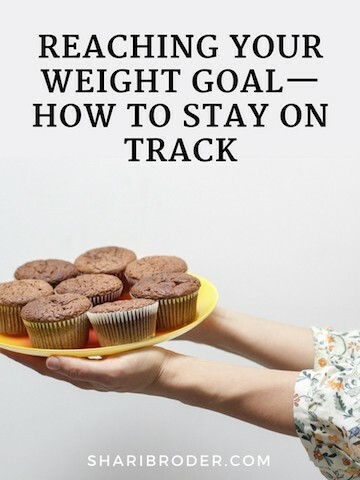 I thought, “I know what I have to do to lose weight.” In fact, I figured out what I had to do almost 30 years before I actually succeeded in doing it! I read lots of books. I had episodes of successful weight loss. I came really close to my goal weight a few times. But I always gained the weight back, and then some. Part of the problem was that even though I knew the answer, I was looking for some kind of magic pill or formula that would allow me to lose weight and keep it off easily and without much effort. And the crucial part was what I didn’t know. For that, I needed a coach. For me, having a coach was the turning point that took me from being a yo-yo dieter to someone who lost 50 pounds and stayed there. My weight coach helped me realize that the reason I was overweight was because I was overeating. Duh? Believe it or not, I always deluded myself into believing that I didn’t eat that much. Pretty much all of my clients come to me with similar delusions. My coach also helped me discover why I was overeating, and what I could do to change that. And the answer was not to go on a diet. 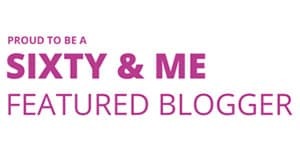 On my blog, I offer lots of free information about how to lose weight and keep it off. For some people, just having that information is enough. They can implement what I teach in their lives and use it to lose weight and make peace with food and eating. That's awesome and makes me feel great! But most people can’t. Most people need someone outside of their own brain to help them see the things that they can’t. And that’s precisely what my coach did for me. It was so life changing that I still remember the exact moment. Then I went to Chicago for four days to attend a conference and visit my daughter. I continued to stick with the program, eating only when I was hungry, stopping before I had eaten too much, and so on. I remember feeling so excited and proud of myself for choosing NOT to get one of those fabulous scones at Southport Grocery when I picked up my chai there one morning because I had already eaten breakfast and wasn’t hungry. When I got on the scale the morning after I returned, two of those pounds had returned! WTF? I was so upset. Discouraged. What was the point if I would gain half the weight back without even reverting to my old ways? I thought, "Maybe I should just quit." That’s what I’d always done when I’d gotten discouraged in the past. Do you want someone to ask the right questions for you--questions that can keep you on track? 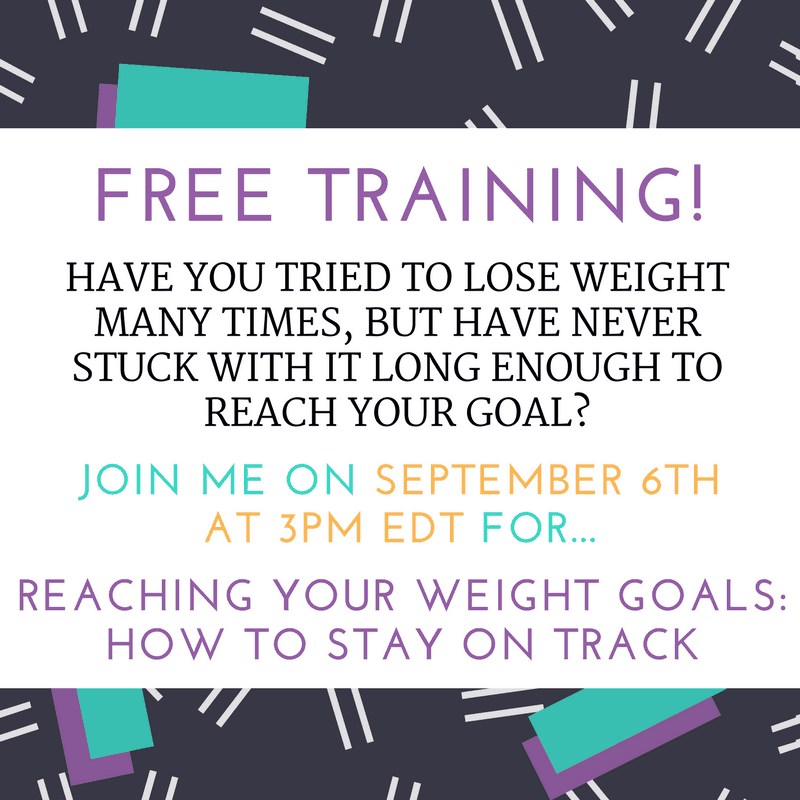 If you want to learn how to stay the course and not quit, and other important things you need to know to lose weight and keep it off, you won’t want to miss my free training on September 6th! I’ll give you some tools you can start using right away. Are you ready to make peace with food, and finally lose the weight and keep it off for good? For more information about my Weight Loss for Foodies Group program, click HERE. Previous Post Tortellini Salad with Tomato and Basil Recipe Next Post What are Diets and What’s Wrong with Them?